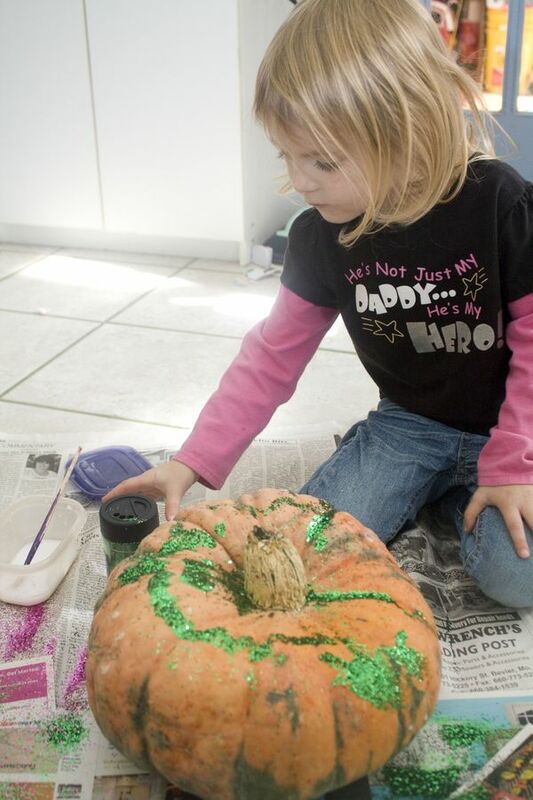 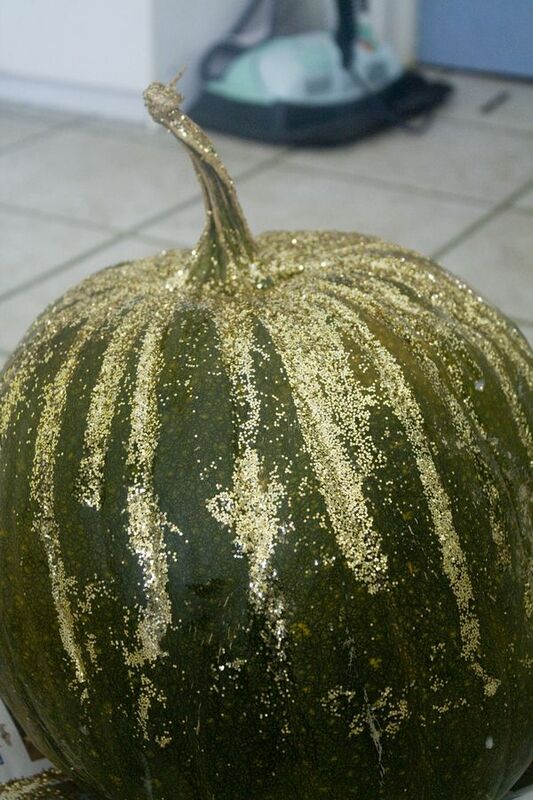 After choosing pumpkins from the Pumpkin Patch, Bria informed me this year she wanted to put glitter on her pumpkins. 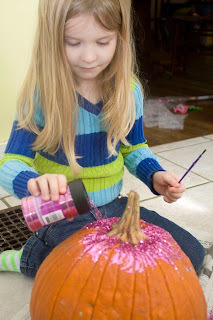 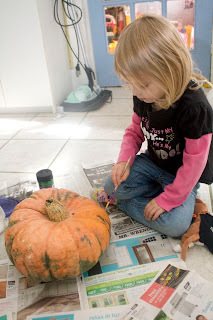 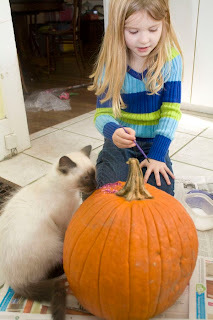 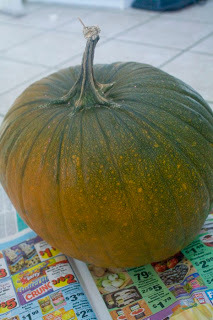 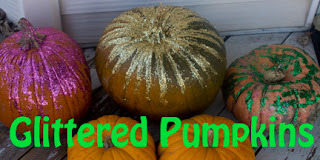 That sounded quite a bit easier then our Melted Crayon Pumpkins from last year, so I was all for it! All the kids chose some glitter while we were out shopping. Unfortunately we somehow lost Eli's once we were home, so his pumpkin had to wait a bit. 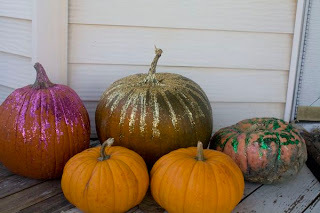 For the girls, I mixed some Elmer's glue and water just like I did for the Frosted Gourds, and turned them loose with paintbrushes and glitter. 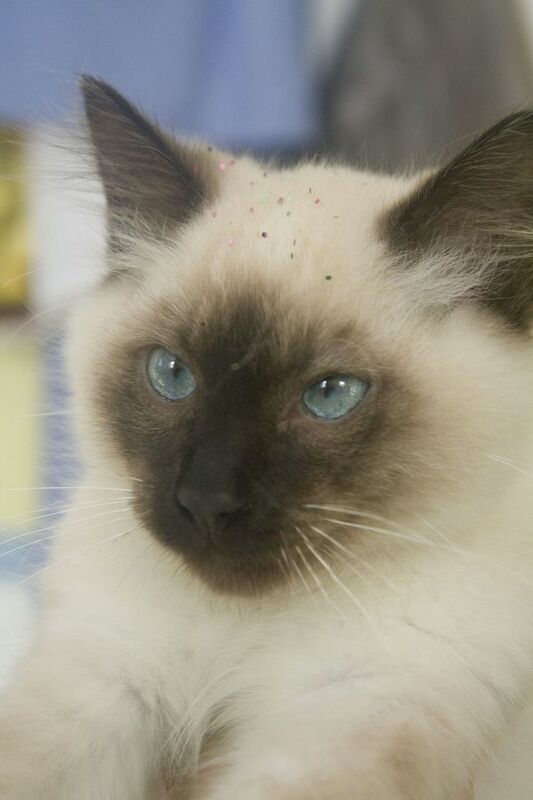 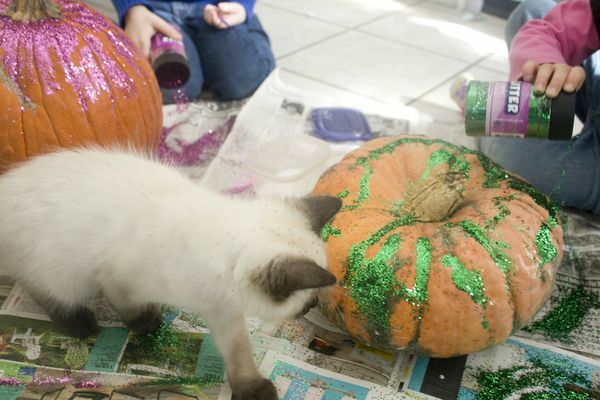 Skippyjon Jones was very interested in the whole process and ended up a little glittered himself. 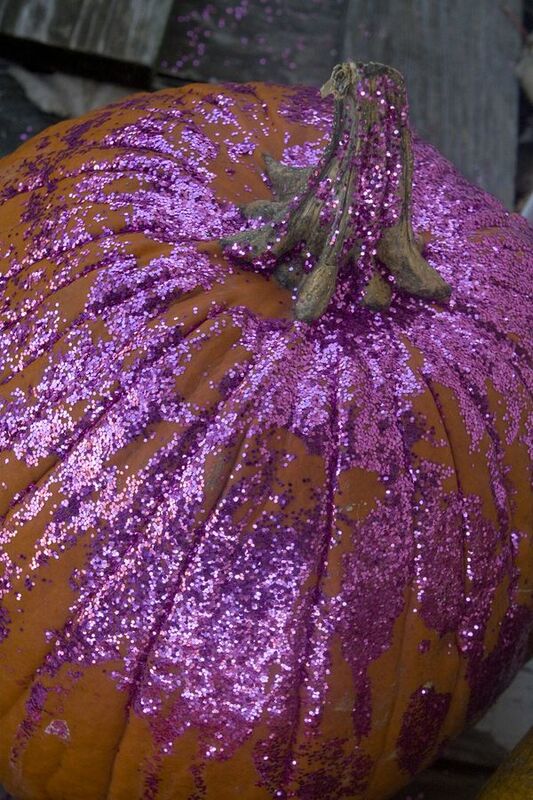 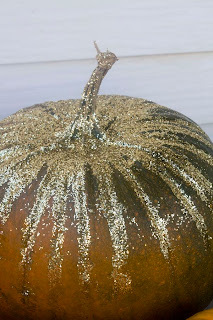 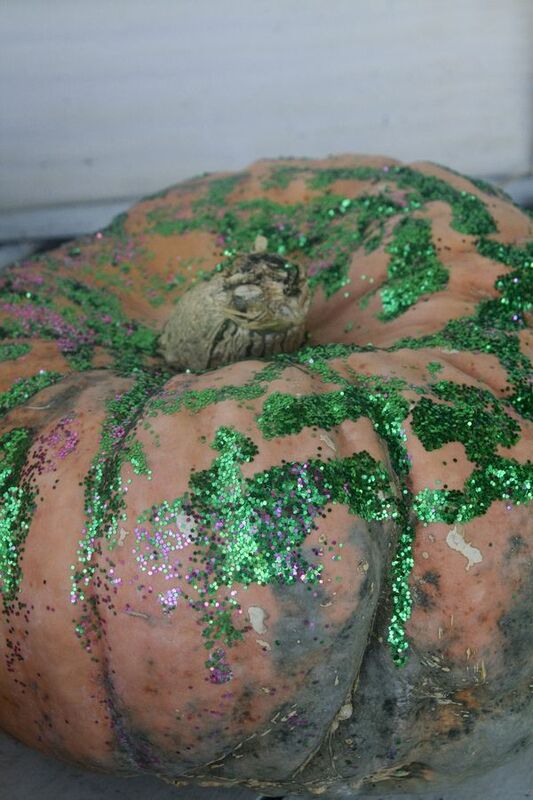 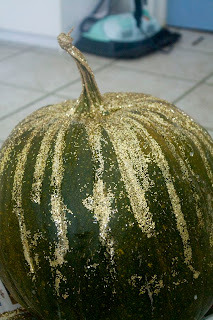 After buying more glitter for Eli's pumpkin (I can't believe we still can't find it), I glittered his. 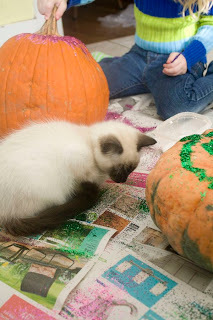 I would have let him help, but I remember him swimming in it with our Cloud Sensory Bin! 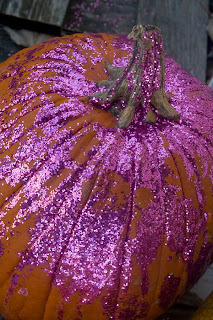 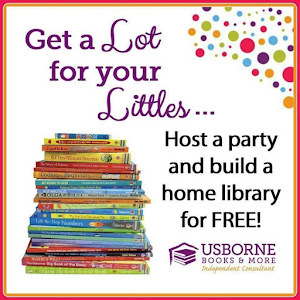 The glittered ones do look pretty!